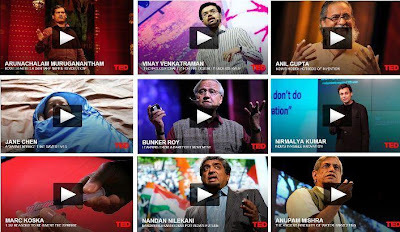 Here are the links to most fascinating videos from Ted on India and Innovation. We understand that adversity and necessity can lead to Innovations and Inventions. These simple frugal innovations can bring long lasting impact and make a difference in lives of people. They are a must watch.Truly !ndian'ovation. Click on the topics. They are linked to Ted Talks.